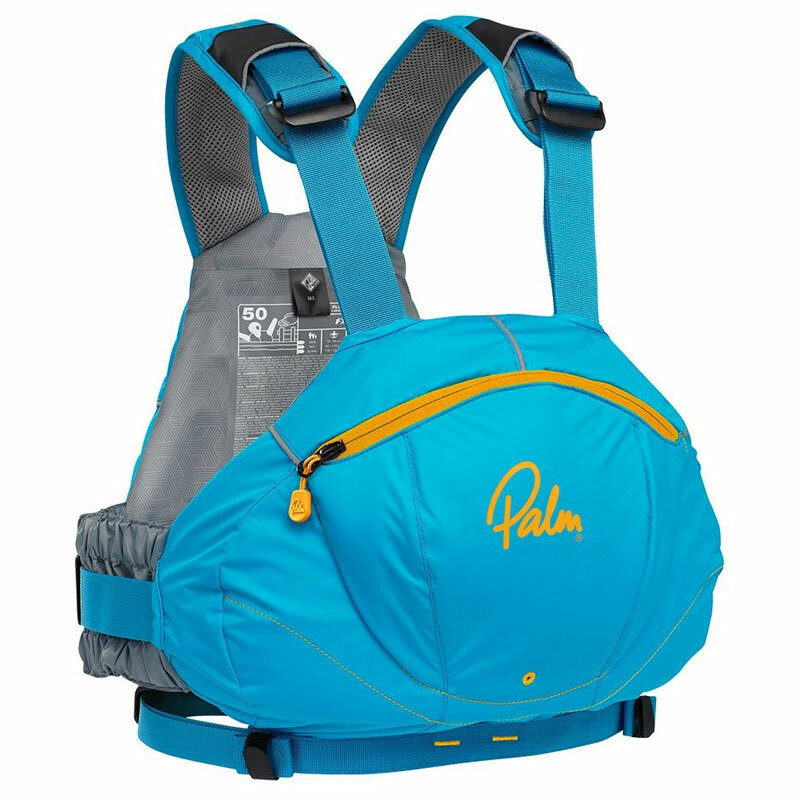 A simple and stylish vest style Buoyancy aid which offers superb freedom of movement. 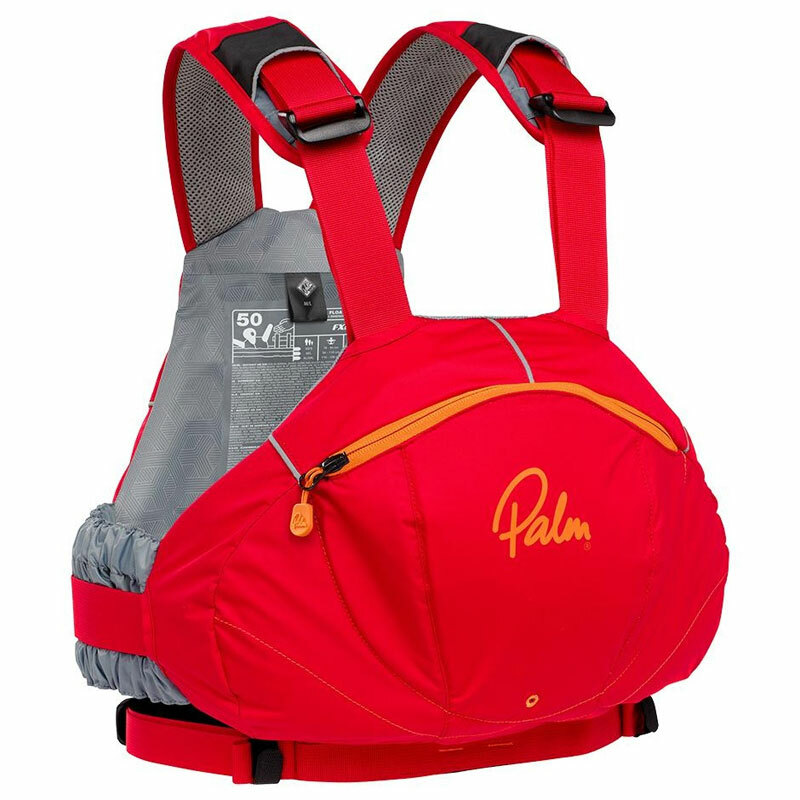 The Palm FX is a lightweight, comfortable vest style buoyancy aid which is ideal for freestyle and whitewater kayaking. Its cut away, minimalistic design means maximum freedom of movement around the arms and the layered foam panels are super flexible for maximum comfort. 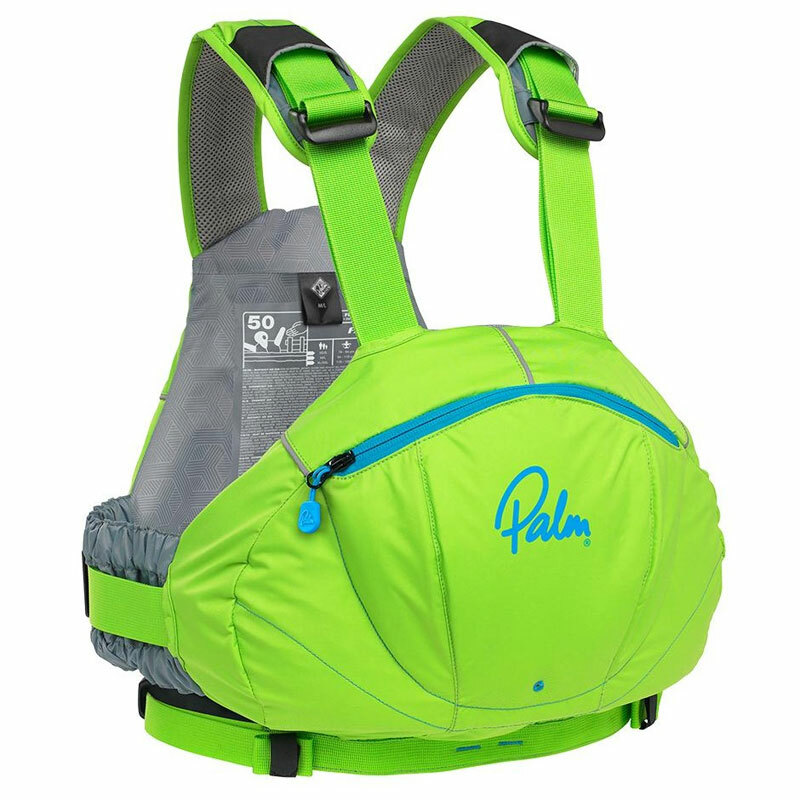 Other features of the FX include a large front pocket for all those on the water essentials, a grippy 3d anti ride-up waist waist belt and fail safe shoulder straps mean you can be certain youll be safe on the water with the Palm FX. Slimline front pocket with inner compartment, key ring clip. Easy Glide strap adjustment throughout. Continuous loop failsafe shoulder straps with strap keeper pockets. Reflective detail on shoulders, front and rear panels.